I may not live in the Southwest anymore, but I STILL LOVE THE FOOD! And I can’t tell you how happy it makes me to be able to recreate the aromas and flavors of the Desert Southwest right here in my Oregon kitchen….like this Vegan Chile Colorado. 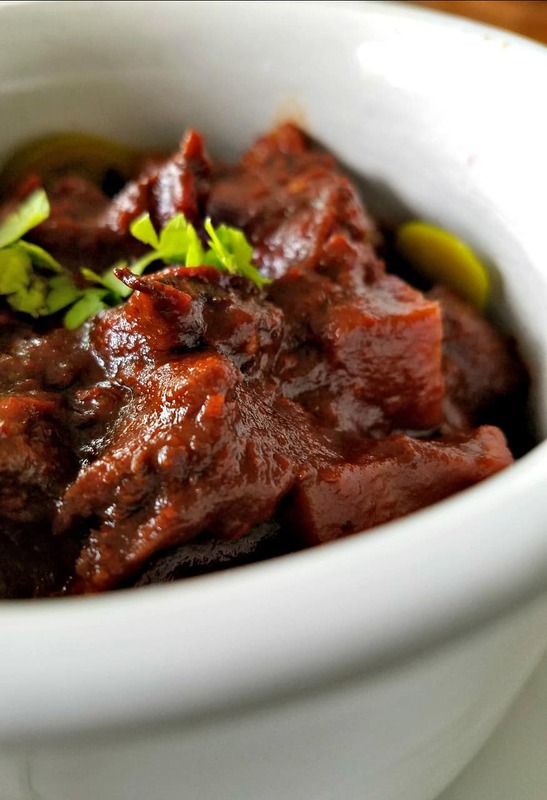 What is Vegan Chile Colorado? 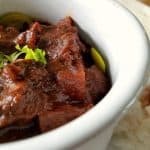 Basically, Chile Colorado is a New Mexican dish made with chunks of beef, slowly simmered in a Red Chile Sauce, until it is fork tender. For this recipe I simply removed the beef and substituted cubed Yukon Gold Potatoes and about ½ bag of Butler Soy Curls for added texture. 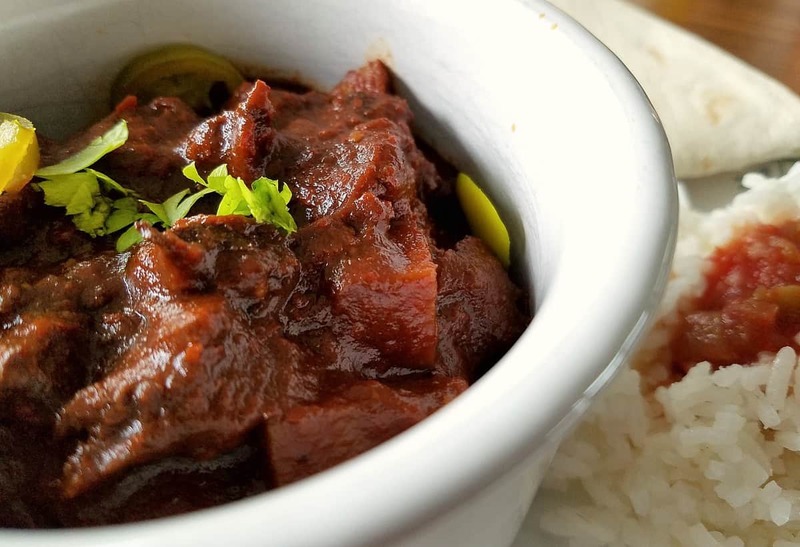 This Vegan Chile Colorado can be used as a stew, served over rice, or wrapped in your favorite tortilla. Garnish with shredded lettuce, freshly chopped tomatoes, cilantro, and if you’re like me….some extra spicy jalapeños on the side. To make this dish, you want to start with THIS RECIPE for New Mexican Red Chile Sauce. Click here to get it now. Follow the instructions to make a batch of New Mexican Red Chile Sauce. BUT ALSO save a cup or two of the chile water to rehydrate ½ package of Butler Soy Curls. Let them soak up all that yummy chile water taste before roughly chopping them into small chunks. Here is a link to Butler Soy Curls on Amazon, where I am an affiliate, meaning I will receive a small commission if you use this link to purchase. You can also find them at Whole Foods or from the Butler Foods website. If you are allergic to soy, or simply cannot find Soy Curls in your area, you could try substituting something else. They are mainly in the recipe to mimic the texture of chopped beef. My Cauliflower Taco meat mixture might be good…..or mushrooms maybe…..get creative and let me know what you come up with! Ok – back to the Vegan Chile Colorado. Once the chile sauce has been blended, pour the sauce into your Instant Pot Pressure Cooker. If you don’t own an IP, no worries, just use a large soup pot on your stovetop instead. Add your roughly chopped, rehydrated soy curls, and 4 diced Yukon Gold Potatoes. Attach the lid, make sure the vent valve is set to SEALING, and set your IP to MANUAL and 10 MINUTES. It will automatically start counting down once it achieve the correct pressure. If using your stovetop, simmer the potatoes and soy curls in the chile sauce until fork tender. That’s my Vegan Chile Colorado. Let me know what you think and be sure and keep those comments and photos coming. 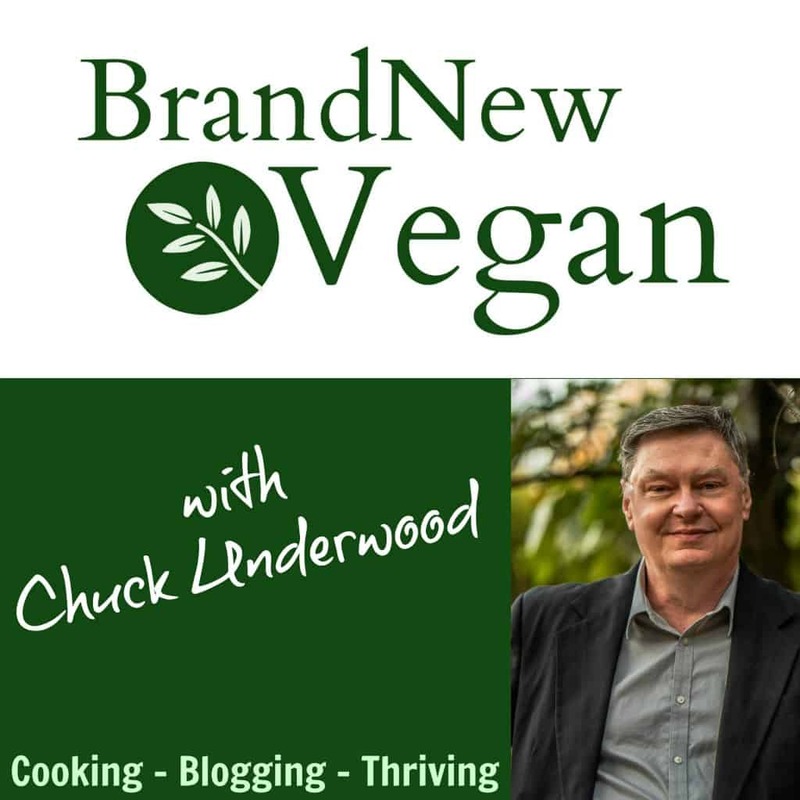 You can always tag me on Instagram too at #brandnewvegan. A rich New Mexican Stew made from cubed potatoes and Butler Soy Curls, simmered in a New Mexican Red Chile Sauce. Click here --> New Mexican Red Chile Sauce <-- to get recipe for my NM Red Chile Sauce. Prepare recipe as per the instructions. Be sure and save the water used to boil the chiles. Add 1/2 bag of Butler Soy Curls to leftover chile water to rehydrate. Allow to soak for at least 10 minutes - then drain and roughly chop. If using IP - set to MANUAL and pressure cook for 10 MINUTES. If using stovetop, simmer all ingredients until potatoes are fork tender. Maybe try my Cauliflower Taco Meat……or even Portabella Mushrooms maybe…. Thanks I’ll try it… So Soy Curls are just something that would replace Ground beef in a recipe? When you say a 1/2 bag, is that 1/2 the 8 oz bag? Thank you. Those of us asking for soy curl substitutions, what volume are you aiming to replace? I’m thinking of making the chili sauce to serve with Yukons and mushrooms for next week’s car camping hiking trip … YUM! Looks like what Texans call Carne Guisada…. Jackfruit would be great in this as well. All these recipes calm for an instant pot. Any chance you could give directions for those of us that don’t have one,? Thanks so much!